You may already know that a healthy gut and plenty of probiotics to support your gastrointestinal health are absolutely critical to boosting your immune system (gut flora may account for 80% of immunity), but a new study coming from the University of Michigan has proven that probiotics may just be the answer to poisonous chemotherapy treatments and the overuse of antibiotics which tend to kill all the good bacteria in our bodies. When people undergo chemotherapy as a treatment for cancer, the antibiotics which are often prescribed post-treatment also kill whatever good bacteria are left, thus causing an absolute crisis for the immune system, and upping the chance that chemo will kill you. Chemotherapy is already one of the top causes of death among cancer patients, though this fact is hotly contested. Much of the pro-chemo science comes from the $200 billion dollar industry which supports it. Many natural treatments for cancer are suppressed for his reason. The simple fact that making sure you have healthy gut flora can help keep you from dying of cancer is one of those ‘cures’ the Big Pharmaceutical companies don’t want you to be aware of, among utilizing other cancer-fighting foods. The University of Michigan study, which was published in the journal Nature, was centered around ‘Rspol’ or ‘R-spondon1’ which activates cell production in the intestinal walls which then help to regenerate tissue that is damaged by chemotherapy and other forms of poisonous drugs. Mice given R-spondon1 survived fatal doses of chemotherapy since the substance was able to help their bodies regenerate new tissue faster than the chemo could destroy it. The problem is that pharmaceutical companies can charge upwards of $50,000 for one dose of Rspol. 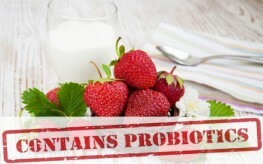 The secret they don’t want you to know is that probiotics help your body to make its own – without the hefty price tag. In a healthy person with good gut-bacteria supported by probiotics and the reduction of high carbohydrates, meat, dairy, and refined sugars (which tend to cause an imbalance in healthy gut flora), this special R-spondon1 is made every 4 to 5 days all on its own as part of our bodies’ blueprint for naturally good health. The epithelial cells in the intestinal walls are responsible for making sure this substance is made consistently, and without good probiotics and gut health, he cells start to slack on the job. Rapid cellular regeneration happens in those who have good gut health and balanced intestinal flora. As the pharmaceutical companies continuously try to patent or co-opt natural cures, it is our responsibility to ourselves and our collective society to make sure people are aware of the natural ways which our bodies already heal themselves. You can pass this along to friends and family to make sure the pharmaceutical companies don’t keep us dumbed down. 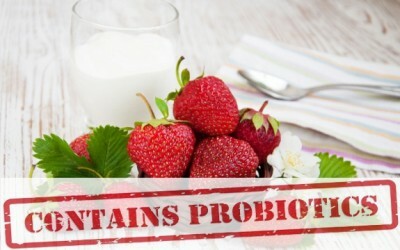 Probiotics, in short order, are a simple and natural way to support cellular regeneration and live through chemotherapy. more susceptible to catching a bug. What is the name of this probiotic so people can get it? It is so important to learn how to take care of ourselves; our own bodies rather then be victims of the health care industry. The old saying: "Watch What You Eat" hold a lot of weight in truth. Go for the stuff that is good for you and stay away from over-processed junk foods. Thanks for this great study. My sister is really afraid of cancer – I will show her the article and hope that it will help her to be more relaxed about her health.